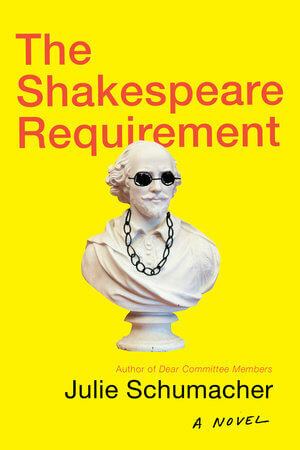 Midwestern Gothic staffer Henry Milek talked with author Julie Schumacher about her book The Shakespeare Requirement, poking fun at academia, Shakespeare, & more. Julie Schumacher: I am an accidental midwesterner. I moved to Minnesota thirty years ago with my spouse, when he landed a job in the Twin Cities; we intended to return to the east coast where we both grew up, but got too comfortable here and decided to stay. I love the Twin Cities. I just wish we could have an ocean here. HM: You’ve written eight novels, several short stories, essays, and even a coloring book. Where does all the inspiration come from? How do you keep things fresh? Do you actively change up your process or style? JS: For me, changing things up is essential. When I begin to write something new, I need to feel I’m engaged in a low-stakes experiment. Nothing too serious — I tell myself I’m just messing about. That was the attitude I brought to writing novels for young adults; it was also the impetus behind Dear Committee Members (written entirely in the form of letters of recommendation) and Doodling for Academics, an academic coloring book. On the one hand, discipline — sitting down at the desk — is crucial; and, on the other hand, I want to remind myself of why I began to love to write in the first place: because it involved open-ended possibility and a sense of play. HM: In your experience, how does a writer best start working on a new idea? Is there such a thing as an ideal first draft? If so, what does it look like? If not, then why? JS: An ideal first draft, I suppose, is one that has some structural integrity and a sense of purpose — without being too embarrassing to read. Only once or twice have I managed to live up to that standard. More often, my first drafts are hideous things: bits and pieces of mediocre and meandering prose. The challenge is to keep writing through the lousy passages and not impose high standards on early drafts, but instead to allow for failure and to keep going. HM: Your latest novel, The Shakespeare Requirement, is a follow-up to your bestselling novel Dear Committee Members. Did you always know you wanted to write a sequel to that book? What drew you back to that world and characters? JS: Some people who read Dear Committee Members found my main character, Professor Fitger, incredibly aggravating. But I realized I loved him. He is aggravating, of course, but he’s also a champion for so many of the things that I care about — literature and the humanities, the state of higher education, undergraduate and graduate students. After the first book was published, I kept thinking about him. He was so thoroughly alive in my mind; I wanted to bring him back for another academic year. HM: What exactly is different about writing a sequel rather than a completely new piece? What is the advantage to having the world and characters already established? Are there new challenges that come with continuing a series? JS: Yes, an interesting question: there were advantages as well as challenges. I already knew my main character and the world in which he lived; but I had to be careful to adhere to and be faithful to that world and its many details. While writing The Shakespeare Requirement I found myself re-reading and combing through Dear Committee Members to make sure I didn’t get anything about the setting or the minor characters wrong. I have a new respect for writers who produce a series — but I don’t think I’ll go beyond these two related books, myself. HM: Between this series and your coloring book Doodling for Academics, you have a history of poking fun at academia. What drives you to return to this topic? Why is it necessary for someone within academia to call it out for its flaws? JS: I don’t know that it’s “necessary”; and I’ve probably returned to the topic of academia because I’ve been immersed in it myself for decades. I didn’t set out to poke fun at higher education at all: I wrote Dear Committee Members as an experiment in form (wondering whether it would be possible to write an entire novel as a series of recommendation letters), and it emerged as a satire. It has been strange to find myself called a ‘satirist’ and a ‘humor writer’; but I’m very happy to know that the books have made people laugh. HM: The Shakespeare Requirement follows protagonist Jason Fitger through various crises, including his struggle to get an out-of-date professor of Shakespeare to retire, prompting backlash as his actions are interpreted as an attempt to eliminate the teaching of Shakespeare altogether. What prompted you to take the story in this direction? What interested you about the questions this particular plotline poses? JS: When I was just starting to write the second book, thinking about Jason Fitger’s second academic year and what it might entail, I was casting about for some sort of structural hook on which to hang the plot. And then one day during a lull in a faculty meeting, a colleague mentioned to me that at her previous university, the faculty had engaged in a year-long battle over a Shakespeare requirement — whether Shakespeare would or would not be required for the undergraduate English major. I felt a little bell ring somewhere at the back of my brain. I count on those sorts of fortuitous moments. HM: The promotional material for the book is filled with Shakespearean language and references. Can you tell us a bit more about the role Shakespeare’s work plays in the story, as well as how it influenced your own writing? JS: I am not a Shakespeare scholar. I majored in Spanish as an undergraduate, and never took a dedicated Shakespeare class. Like Jason Fitger, I’m a fiction writer in an English department. So I had to do some research in order to create my Shakespearean, Professor Dennis Cassovan, who is immersed in that field. Though Cassovan has no patience whatsoever for Fitger, I wanted them both to be sympathetic and appealing. I created an undergraduate in the novel who runs into trouble; despite their enmity for each other, both Fitger and Cassovan care deeply about her, and set politics aside to help her along. JS: I am doing some daydreaming, casting about for the next experiment. 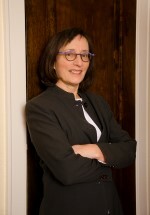 Julie Schumacher is the author of ten books (including a coloring book, Doodling for Academics). She is the first and still only woman to have won the Thurber Prize for American Humor — for her best-selling novel Dear Committee Members. Her newest novel is The Shakespeare Requirement, published in August 2018 by Doubleday. She is a member of the MFA Creative Writing faculty at the University of Minnesota/Twin Cities.